Teach bowling fundamentals to elementary-age students and day care children with help from the Champion Sports Rhino Skin® Multi-Color Foam Bowling Pins. Kids can knock down pins and bowl strikes thanks to the weighted design of these pins. 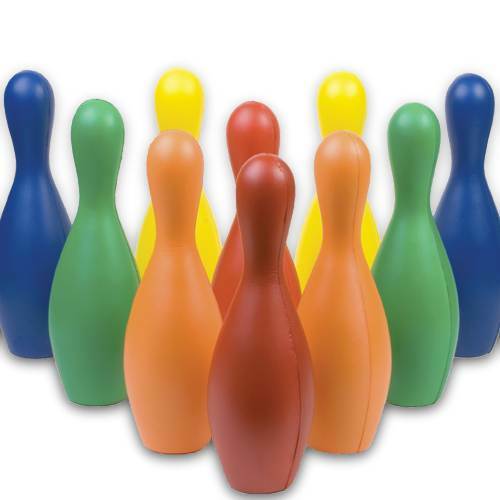 With royal blue, green, yellow, orange and red colors, these pins let children see where they need to hit in order to reinforce proper bowling techniques. The heavy-duty Rhino Skin® coating resists peeling and cracking, so these foam pins can be used time and time again.